Last night, New Jersey got slugged by Seattle, in week six of the U.S. Chess League. This week, another Dean of Chess Academy is opening at 334 Route 31 North in Flemington NJ, in the Stop & Shop shopping center. In honor of the grand opening of the Flemington super center, a quick chess game/10 tournament will be held at 7 o'clock on Saturday evening, October 2nd. The entry fee is $30 for non-members and $20 for members. You can register at http://www.deanofchess.com/. The prizes are a flat screen TV [first], a wooden chess set and board [second], and a digital clock [third]. The top scholastic player will receive a tournament bag, set, and board. 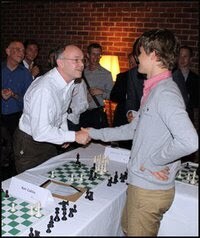 Earlier this month, Jonathan Crumiller of New Jersey [pictured, shaking hands with GM Magnus Carlsen] had a memorable week of chess. In London, he was Garry Kasparov's partner in a game that they won. In New York, he drew a game against Magnus Carlsen in a simultaneous exhibition. On Sunday, I played the following game at the Marshall Chess Club, on day two of the Marshall September Grand Prix. 31.Ne6 Nxd5 32.exd5 Rf7 33.h3 Qb7 34.Nxd8 Rxd8 35.Qxa5 Ra8 36.Qc3 Qxd5 37.Bxe5, draw. Yesterday I played this game at the Marshall Chess Club, on day one of the Marshall September Grand Prix. 32.Re1 Rh3 33.Rh1 Rf3 34.b3 Kd7 35.Rb1 a5 36.Re1 Rh3 37.Rh1 Rf3 38.Rh2 Kc6 39.Kf1 b5 40.Ke2 b4 41.Rh1 Kd6 42.Rh2 Ke6 43.Rh1 Kd6 44.Rh2 Ke6 45.Kf1 Kd6 46.Kg2 Ke6 47.Rh1 Kd6 48.Rf1 Ke6 49.Re1 Rh3 50.Rh1 Rf3 51.Rf1 Kd6 52.Re1 Rh3 53.Rf1 Rf3 54.Rh1 Ke6 55.Rf1 Kd6 56.Rd1 Rh3, draw. On Wednesday, New Jersey got blitzed by Boston, in week five of the U.S. Chess League. Here are the games from boards one, two, three, and four. 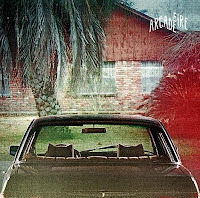 Here is a song "Deep Blue" by Arcade Fire that includes the line "Kasparov, Deep Blue, nineteen ninety-six" in its lyrics. 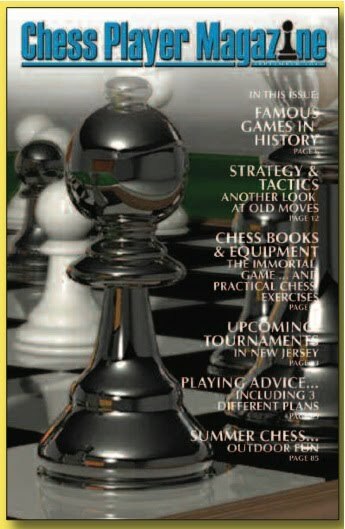 Sign up here for a free subscription to Chess Player Magazine. According to editor Eric Citron of Dean Ippolito, LLC, "Our magazine is going to replace the old and boring chess magazines that are out in the market." You can contact him for a sales representative interview at eric@deanofchess.com. 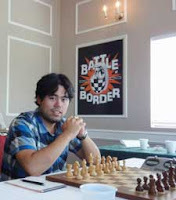 In round four of the Battle at the Border tournament, GM Hikaru Nakamura [pictured] tried the Philidor Counter Gambit as Black but lost against GM Pascal Charbonneau. Instead of Nakamura's 5...Bxf5, worthy of consideration is 5...Nf6 as played by me against IM Justin Sarkar. Photos and Game from "Chess Mates"
These are pictures that I took during Sunday's game/45 tournament at Chess Mates, as well as the biggest upset. 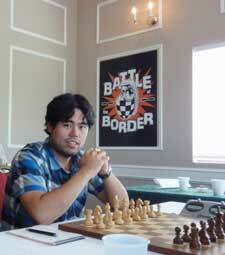 On Sunday, grandmaster Mark Paragua won the game/45 grand prix Swiss at Chess Mates in Rahway. 34.Rxc4 Rbxc4 35.Rxc4 Rxc4 36.Qxc4 g5 37.g3 Ng6 38.f4 gxf4 39.gxf4 Qh4 40.Qxe6 Qg3+ 41.Kh1 Qf3+ 42.Kg1 Qe3+ 43.Kh1 Qf3+ 44.Kg1 Qg3+ 45.Kh1 Qh4+ 46.Kg1 Qxf4 47.Qf6+, draw. On the BBC World Service, Simon Terrington explores the game of chess in a two-part broadcast. In week four of the U.S. 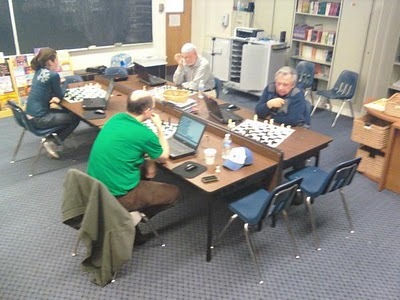 Chess League, the Carolina Cobras snaked their way to a drawn match against the New Jersey Knockouts [pictured]. The Marshall Chess Club is proud to announce its presence at the New Meadowlands Stadium for all home games of the New York Jets football team during the 2010-2011 season. The club will host a chess area, located at the Verizon Gate, as part of the New York Jets pre-game "Fan Fest." Here, from the time the gates open until kickoff, chess-loving football fans have the chance to socialize, play blitz, or challenge a grandmaster to a game of chess. At the season opener against the Baltimore Ravens, 18-year-old grandmaster and Jets fan Robert Hess took on all challengers. Grandmaster Maurice Ashley will be available for chess games at this Sunday's home game against the New England Patriots. Marshall Chess Club vice-president Larry Price, who was instrumental in creating this exciting partnership, will represent the club and answer questions about the Marshall Chess Club. Four years ago, the Game Show Network aired a program on Bobby Fischer in its Anything to Win series. Here is the video. 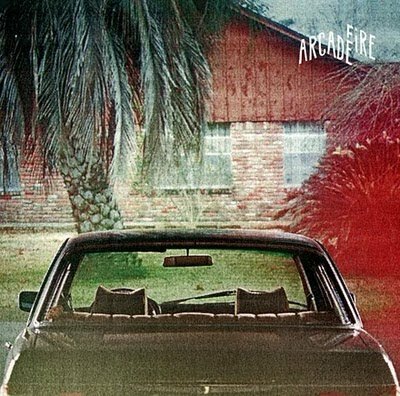 Tonight in the U.S. 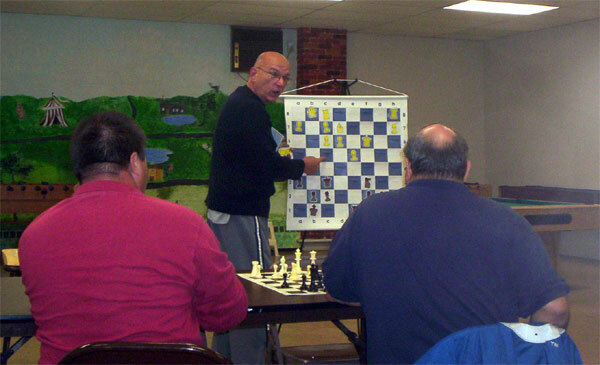 Chess League, the New Jersey Knockouts play against the Carolina Cobras. You can follow the action at the Internet Chess Club. On Sunday, during the New York September Under 2300 tournament, I took these pictures from outside and inside the Marshall Chess Club. Yesterday I played in the one day schedule of a Swiss tournament at the Marshall Chess Club and finished with a score of 2-0-2. 31.Ke3 Ke7 32.Bf3 h5 33.Bd1 Nd8 34.Kd3 Nf7 35.Nf1 Kd8 36.Kc3 Kc7 37.Kb3 Kb6 38.Ka3 Be8 39.Ne3 Bd7 40.Bf3, draw. On Friday, grandmaster Magnus Carlsen [pictured with actress Liv Tyler] took on the world in a game of chess and won. On Wednesday, the New Jersey Knockouts were blown away by the New England Nor'easters, in week three of the U.S. Chess League. 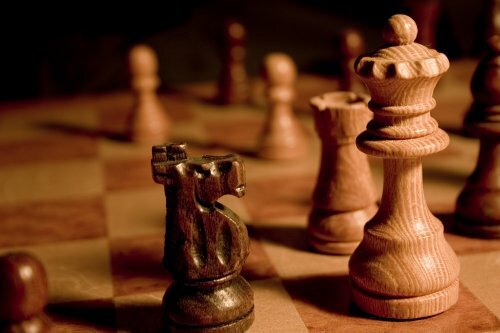 Matt O'Brien of Online Masters has compiled a list of 50 great chess blogs. Tonight, FM Steve Stoyko will begin a four-part lecture series on the King's Indian Defense at the Kenilworth Chess Club. Admission to each lecture is $5. During the Labor Day weekend, I snapped these photos at the New Jersey Open.